"It's okay, Carlo, I've got your back." I have written about racism in Italy before, both on a very serious note and also adding a slight bit of humor in offering ideas for dealing with people who are guilty of racism. But I don’t even know what to write about Tavecchio. Here he is the one charged with enforcing all of the FIGC and UEFA policies, and he didn’t even see anything wrong with what he said. Neither did Italy, though, and that is both shocking and disturbing. One person did stand up, former Milan player Demetrio Albertini. He stood up and ran against Tavecchio, and more recently, apparently resigned as vice president of the FIGC. But one voice is not enough. This is a huge problem that needs the masses to fix. All of my life, I have looked to Italy as a travel destination and place of culture and beauty. I studied the language, learned to cook the foods, worshipped the fashion, and became obsessed with calcio, not to mention the beautiful Italian men. I very seriously considered moving there, even as I had a family, because I was so in love with everything I knew about the country. But I guess every country has its down side, and the racism and sexism that are so rampant in Italy are a gigantic down side for me. 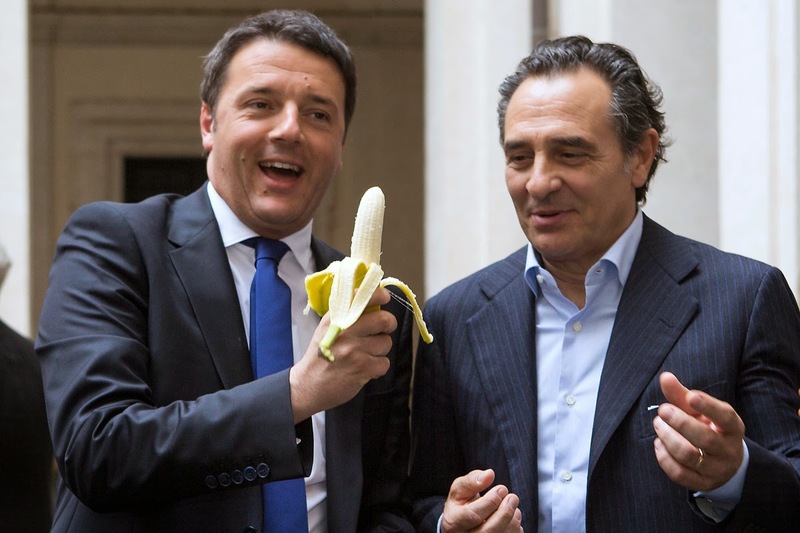 "You mean if we eat this banana in public, people will believe we're not racist? Sweet." 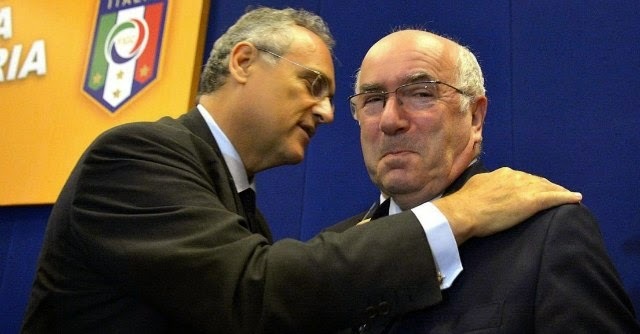 That Tavecchio has made comments both racist and sexist in nature and almost no one in Italy stood up to question it makes me physically ill. That it took UEFA to step in and say “hey, this isn’t okay” is appalling. I’m still waiting for anyone to say anything about his sexist comments, but the world is apparently not ready to give that nasty little habit up just yet.